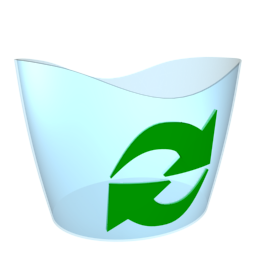 Note: if the AD Recycle Bin isn’t already enabled in your forest then you need to dig out your last system state backup and go through the restore process – enabling the ADRB does not help with recovering any objects deleted prior to it being enabled. See this article for enabling it. A VM snapshot can potentially be used to restore from for DR purposes but only if *both* the virtualization host platform and the underlying guest OS supports it (W2k12 or later for the guest OS and Hyper-V W2k12 or vSphere/ESXi 5.0 Update 2 for the virtualization hosts). If your VM snapshot doesn’t fulfil the minimum OS and virtualization requirements then you may still be able to use it as a last resort but the operation will be a lengthy process if the snapshot DC was brought online before manually setting the “Database Restored from Backup” registry key on it to force it to generate a new invocation ID. Beginning with Windows Server 2012, AD DS virtual domain controllers hosted on hypervisor platforms that expose an identifier called VM-Generation ID can detect and employ necessary safety measures to protect the AD DS environment if the virtual machine is rolled back in time by the application of a VM snapshot. The VM-GenerationID design uses a hypervisor-vendor independent mechanism to expose this identifier in the address space of the guest virtual machine, so the safe virtualization experience is consistently available of any hypervisor that supports VM-GenerationID. This identifier can be sampled by services and applications running inside the virtual machine to detect if a virtual machine has been rolled back in time. Virtualized domain controller cloning relies on the hypervisor platform to expose an identifier called VM-Generation ID to detect creation of a virtual machine. AD DS initially stores the value of this identifier in its database (NTDS.DIT) during domain controller promotion. When the virtual machine boots up, the current value of the VM-Generation ID from the virtual machine is compared against the value in the database. If the two values are different, the domain controller resets the Invocation ID and discards the RID pool, thereby preventing USN re-use or the potential creation of duplicate security-principals. If the EnabledScopes part is empty it means the AD Recycle Bin still hasn’t been enabled in your AD forest, luckily I already have it enabled in my lab. The undeleted groups are back where they belong in AD with the correct membership in the minimum amount of time required to recover from the original error. This will of course *not* replace your regular backup procedures but it should really be considered a mandatory precaution to enable it in any AD environment running Windows 2008 R2 DC’s as it really cuts down the time required to recover from accidental deletion of objects in AD. #1 check if you have any applications that use the DirSync control and make sure you have applied the NTDS hotfix from KB979214 to Domain Controllers (if you are running Windows 2008 R2 DC’s) as this changes the default behaviour of the relevant LDAP search control when returning values for objects that reference recycled (soft deleted) objects. #2 read the ASKDS article on best practices for implementing the AD Recycle Bin. #3 figure out if you have any critical applications using the DirSync control that can’t handle the isRecycled attribute state for objects that have been soft deleted. ILM 2007 will unfortunately not be able to handle the AD Recycle Bin but FIM 2010 with Update 1 will (ILM 2007 being out of support for more than a few years now should also really be reason enough to upgrade to at least FIM 2010 R2 or MIM 2016). Applications that have the potential to be impacted negatively by enabling the AD Recycle Bin are most likely going to be older product versions that focus on directory synchronization or monitoring using the Dirsync control. Those will either need to be retired or updated to a newer version (older GALSync and MIIS instances probably fall under the same unsupportable hat as ILM 2007).